When it’s cold and lashing rain, there’s nothing more comforting than nipping into a warm café and watching the world go by. With a mug of coffee or a pot of tae to hand and maybe a slice of cake, you could easily spend an afternoon chatting with a friend or getting stuck into a good book.We’re looking ahead to summer but in the meantime, weather the cold, unpredictable, rainy days by bringing a cosy coffee shop into your weekly routine! 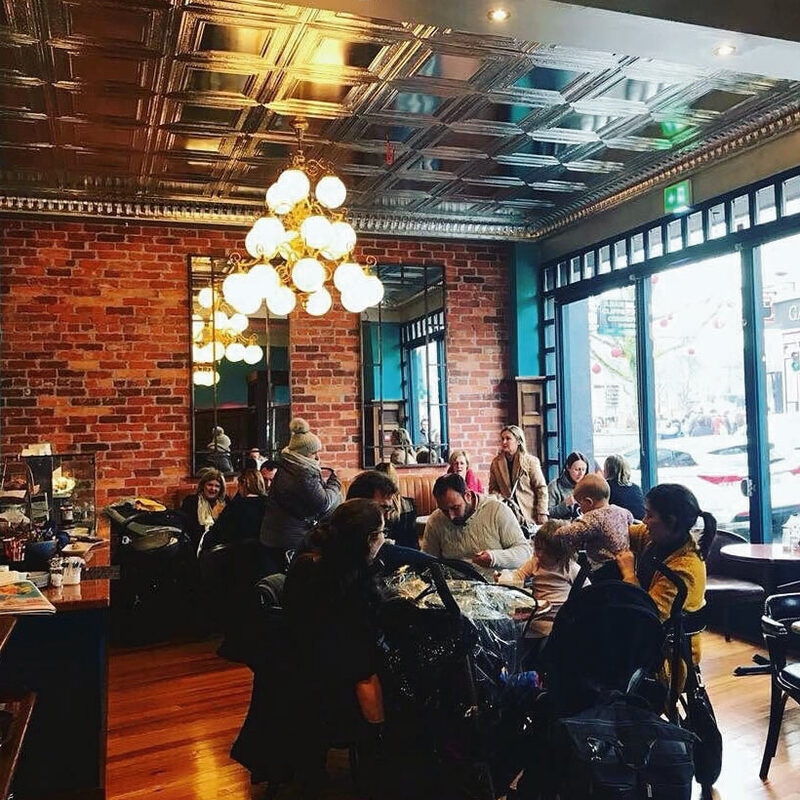 Located right around the corner from Eyre Square, Merchant Café is an ideal place to people-watch! It has a beautiful urban chic Parisian feel with warm lighting and rustic fixtures around the place. They serve a wholesome breakfast menu throughout the day as well as lunch and, of course, lots of coffee. When it gets too chilly to people-watch on their small outside terrace, head upstairs to one of the little nooks and tables. Here you’ll find a record player with a stack of vinyls to choose from, a beautifully curated collection of Scandinavian-style homeware, books and kitsch, and a bird’s eye view of Quay Street. With the smell of fresh-baked bread and pastry all around, you’ll feel very warm and cosy from your table as you look out over Galway Bay. Their breakfast and lunches are top-quality and you wouldn’t go amiss with a slice of cake to warm you through! This charming little café is based in the Gaeltacht village of Spiddal, just steps from the Wild Atlantic Way and surrounded by the Craft Village (which is well worth a wander itself!). Everything they do is homemade and locally sourced for extra homeliness. Tucked away inside the Cornstore mall, Temple Café is the perfect place to relax over a cup of coffee and a healthy lunch. Sofas on the mid-level and a private-feeling upstairs are both perfect options for some low-key chill time. Just at the top of Eyre Square is this bustling little cafe. No matter the weather, the tables under the awning are always packed with people enjoying a cuppa and a bit of food. The upstairs is charming and cosy, but it’s a properly Galway thing to bundle up in your winter coat, hold your hot cuppa close and watch the world go by outside! New to Galway’s Westend is this little café, from the team behind Galway favourites Aniar Restaurant and Cava Bodega. 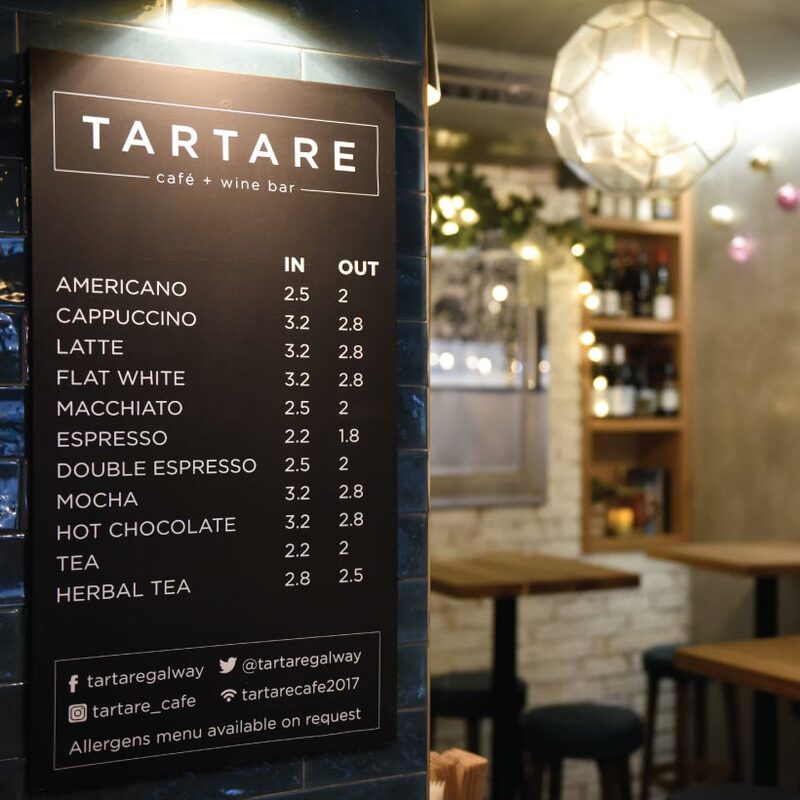 Tartare focuses on coffee, specialty pastries and bakes, and an inventive locally-sourced menu. The warm lighting and especially the bar along the window are the perfect place for some afternoon musings over coffee — or a glass of wine, if it’s getting on! The walls here are full of second-hand books and exhibitions from local artists, since the café also acts as a gallery space! It’s a very artsy space to retreat from the chilly autumn weather and enjoy a coffee and one of their delicious toasted sandwiched for lunch. 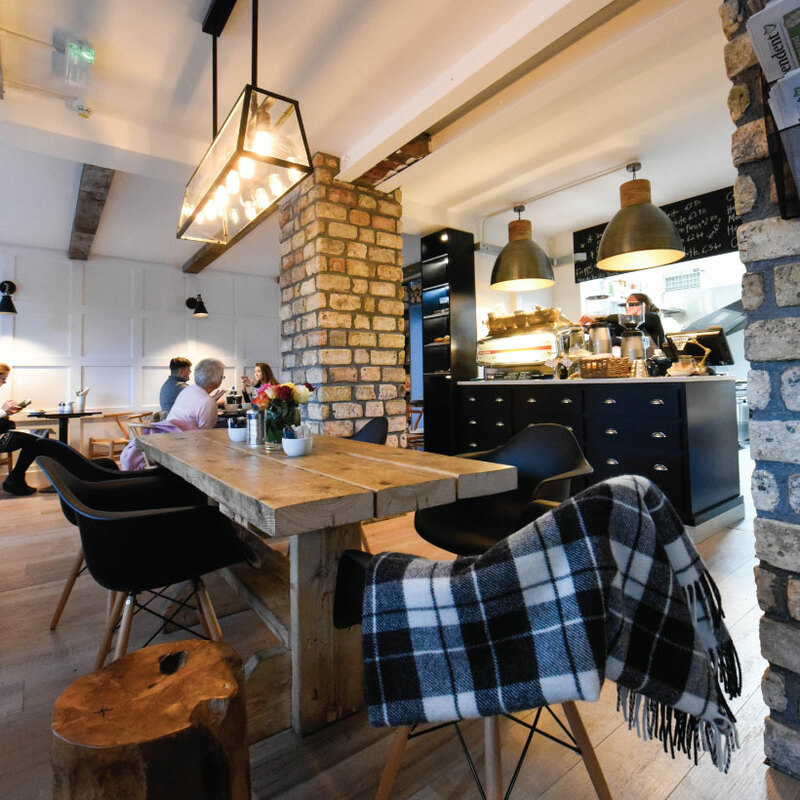 Leather couches, wool throws and exposed brickwork make Mocha Beans in Newcastle the picture-perfect cosy café for cold weather. They roast all their coffee beans in house, so it smells absolutely wonderful all through the day. 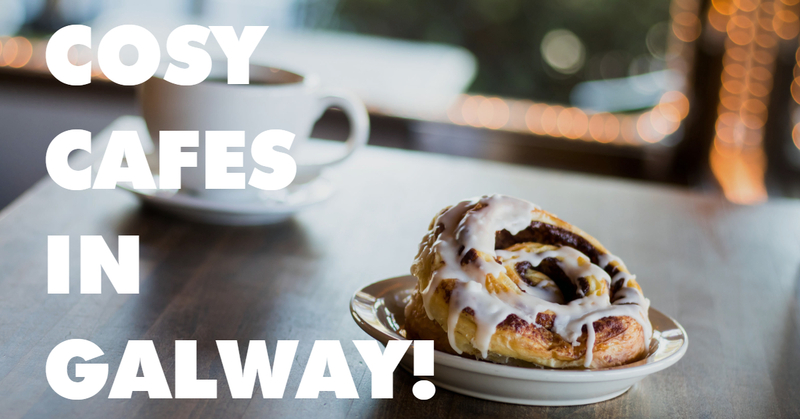 Sit down to a power breakfast or a filling, wholesome lunch and while away a couple hours reading or studying! 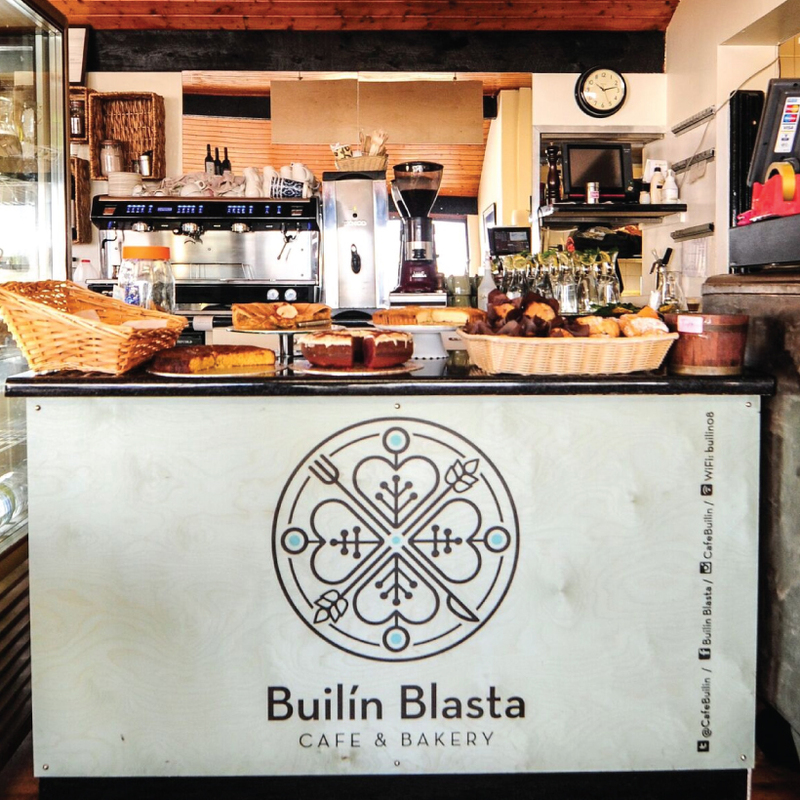 This local favourite in Oranmore is a perfect stop-off for a coffee-loving bookworm. They have bookshelves filled with new and secondhand books from Charlie Byrne’s bookshop if you’ve forgotten to take your own along, or just feel like having a peruse while you wait for your coffee. 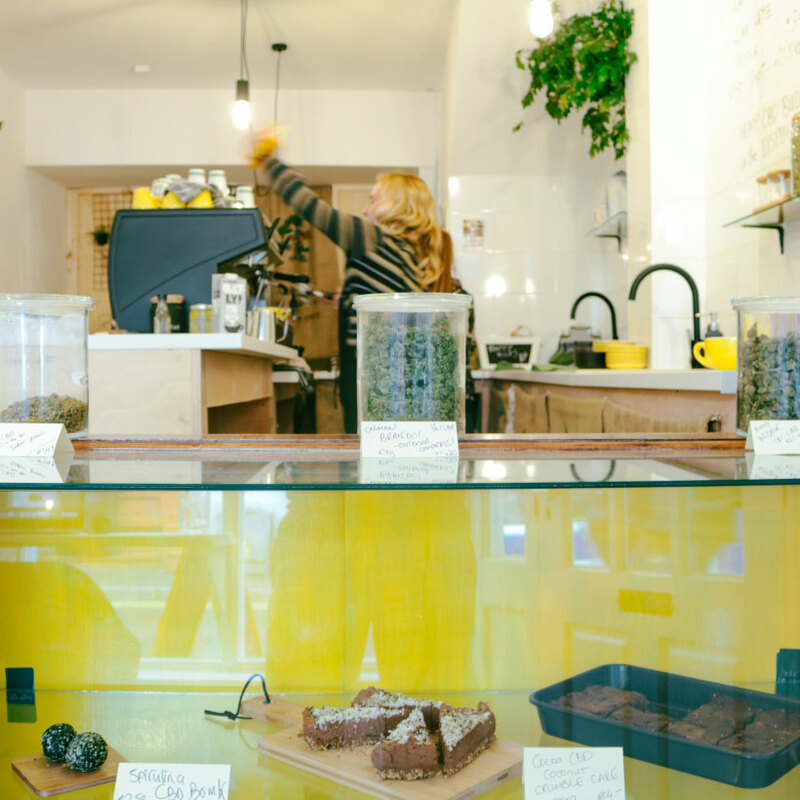 If you’re in the mood for high-quality CBD hemp flowers, house-made tea and ‘Melbourne’ coffee, Little Collins is the place for you. Their plant-based menu includes some CBD edibles and they specialise in CBD tea and coffee on the run! Spend your afternoon unwinding and chilling out in this cosy little spot. These boutique coffee roasters celebrate all things specialty coffee. Organic milk, multiple filter options and intricate latte art make this place the perfect place for hiding from the rain. Spend the day trying different brews and picking the staff’s brains about all things coffee related.